"I wanted to let you know that I thought the information page with your employees spotlighted is a great idea. I enjoyed reading the bulletin and want you to know that appreciating all your employees in this way must make your company a great place to work!" "I am very impressed with all you do for technology education from products and supplies to students, graduate students, and teachers. Thank You." "Once again I would like to personally compliment you and your staff on a tremendous job with your catalog and your new approach to Technology Education. I know for myself KELVIN® gets 90% of my orders because of the ease in reading the catalog, the quick delivery and the support when a problem does arise. Technology Education needs strong vendors like you to let the world know how important what we do really is!" "KELVIN® helps provide me the opportunity to build and put technology education activities together at very reasonable prices for my classes. Many of us are on right budgets. They also give me a lot of ideas of new and different technologies available in the tech world." 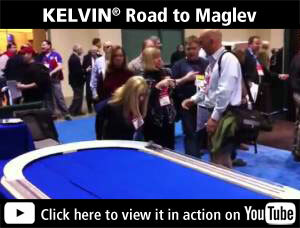 "The KELVIN® catalogue is an excellent resource for my program." "I really enjoy the quality of the equipment you sell! Keep up the good work!" "I have no complaints about the service from KELVIN®. 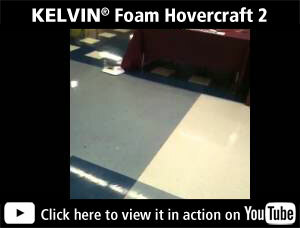 KELVIN® has a well organized catalog with numerous tech ed supplies." "Thanks for your continued innovation in technology." "I'm very pleased with our purchases from KELVIN® Electronics. Your products are of superior quality and comes with easy to follow instructions, which makes it great for my Industrial Technology students. We appreciate doing business with KELVIN® Electronics and certainly look forward to a long term relationship with such a reliable company as KELVIN® Electronics." "As a high school instructor, I have dealt with many vendors over the past several years. It has been my pleasure to get to know and converse with the KELVIN® staff. I have always been treated with respect and courtesy by these top notch individuals. "I have found your products to be both reasonable in price and of superior quality. " 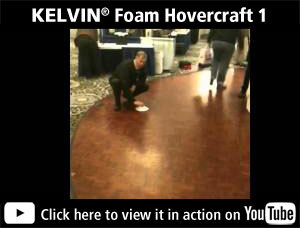 "KELVIN®'s products are a pleasure to use. Thanks for all of your support over the years." "The HotShot™ is heaven. It adjusts to the height of the car, allowing for student error and still have fun." "The HOT SHOT Raceway™ is the best CO2 dragster launching system available. It is clearly well designed and carefully manufactured. The HOT SHOT is ideal for updating older launching systems." "Just thought I’d drop a note to let you know that your No CO2 car track was featured on the National TV show “Malcolm in The Middle” Middle School Salute to Naylor Middle School Technology Class. 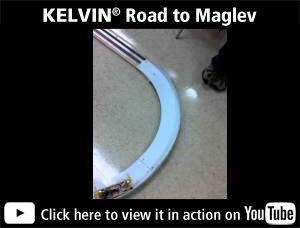 I just love KELVIN® products and the one time I had a little problem with my race track the engineers worked very hard with me to figure out the problem. I figure that the track will pay for itself in the first year or two over the cost of my old Co2 track but the biggest benefit is that the kids can race and race and race with no cost to me and it allows them to learn with each race how to make the cars faster by trimming weight, making it more aerodynamic, lubrication, waxing the track etc. It is such a huge advantage over the CO2 cars that they could only launch once at the end of the school year. My class exposes kids to 12 technology modules for one week at a time. Modules include CAD, Electronics, Robotics, Bridges, Recycled 2 liter bottle rocket launcher (another huge hit and well made KELVIN® product), Aircraft simulator, Small engines, Computer hardware, Digital Video, Animation and Digital Music (another class favorite). M P.S. - The Track is a HUGE hit with the kids and is the centerpiece of my 2,500sqf Technology Classroom and I have a better (60 Meg) version of the video if you are interested." 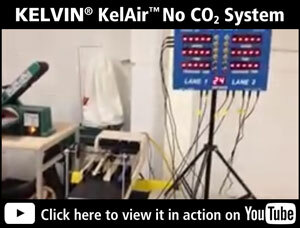 "The NO CO2 race car system is fantastic. Students really got into perfecting their engineering skills by making repeated trial runs with their cars. We are in our second year using this new system and are getting far better cars than we ever got using cartridges. Also, this NO CO2 does not waste expensive cartridges and is so safe I can let students run their own races, right in the classroom." "Not only are we saving money on cartridges but we can now hold 'double elimination' competitions or best 'two out of three' races. The students can also test the performance of their dragsters throughout the design process providing the feedback loop needed in problem solving and M/S/T activities." "We love the CO2 Eliminator. Costs less. Lets kids pre-test their cars. Allows students to fully engineer their cars. Also, compact, fits in our classroom." "The PopRocket™ Launcher has been a great problem-solving activity I've done with my students. For the past 3 years, my students have come up with Creative Guidance Systems to fly the PopRockets. For the past year, they have been designing rockets that send an 'Eggstranaut' into space." "We've eliminated the security problems with using rocket engines and the students went wild over the 'target practice' activity. The rockets cost nearly nothing and the students can build several and evaluate the performance of their various designs." "Since the Paper Rocket System requires few materials, students are able to design, experiment and improve performance through repeated trial flights." "[The] SUMO Wrestler™ interface is incredibleÙhad a hard time keeping the teachers from taking more than their share of time with the two models the 5th grade builtÙstudents really got into the aspects of how to more accurately control them, what modifications they wanted to make, etc." "The SUMO Car™ interface has been an exceptional addition to our engineering & design class. The system provides outstanding practical application to units & lessons in mechanical systems as well as calculating gear and velocity ratios." "I teach middle school students. This type of activity is one my students would love to do. Hands-on trial and error and some competition are the type of activities students would enjoy!" "A special thanks for the water track. My students are designing vehicles for it right now and teachers and parents in our district workshops last week had the opportunity to try them out. Everyone was excited about the connections with technology, math and science." "This product is student based. The students will learn many different concepts from the project. I will use this project with my students and also have fun doing it." Brent Tubbs, Utah "These solar car kits are an exciting and economical way to introduce solar energy and power. Also, these kits are easy to construct and fun!" "This will be a fun and challenging project for the students. It was an exciting project." "The variety of parts included in the solar car kits provided opportunity for the students to experiment and do some hands-on learning." "Just wanted to give you feedback on the tethered airplanes and the power pole that you sent us to field test. The elementary kids love it. So far, Grades 3-6 have successfully made planes and cars. They quickly discovered they could shorten the tether to vary results. They also decided that mounting the motor on the cutout section of the airplane nose was not as secure as boring a hole in the nose section. The engine fits snugly insideÙa horizontal slit in the Styrofoam body along the engine compartment makes it easy to run wires out. Anyway, the product is definitely grades 3-up appropriate. The second graders will get their chance in May and I'm sure they will handle it fine also. Thanks for letting us explore!" 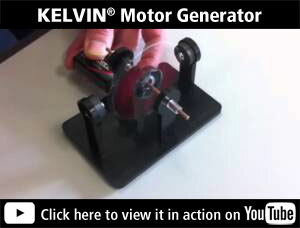 "I am a great fan and user of Kelvin kits. The Wright Bro. Challenge is a great idea, kids and teachers love it." "If I'm doing this and having this much fun, I know my students will love it!" "The problem solving involved with this design challenge are many. Students are ecstatic with the results they achieve. It's a refection of modern technology in the aircraft industry." "The activity really allowed the students to use their imagination while learning airfoil flight technology." "An excellent aeronautical learning experience. The instructor practiced educational techniques. Very enjoyable and worthwhile way to make your students soar." "I participated in designing an airplane foil. I found this experience to be an excellent hands-on activity to allow students to experience the design process of flight. As I have found, students can discover different aspects of flight technology. I plan to start up a flight module at Perkins Middle School. The experience should be educational as well as fun!" "I'll be darned! The thing flies! This much fun shouldn't be wasted on my students." "Excellent for elementary kids and marble acceleration tracks, crash cars and maglev vehicles, to name a few that we tried." "Very nice. Works well with maglev and catamaran races." "After trying to make and electronic timer and being unsuccessful, I found the Kel-Timer™ very easy to operate and extremely functional on our 16 ft. maglev track." "We use the Kel-Timer™ for student prototyping of boat hull designs. It's so easy to use kids can check their design without the instructor's help." 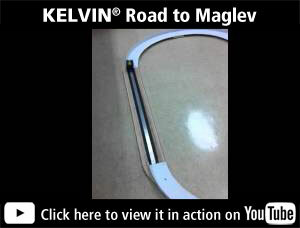 "Your Maglev Timer is great, uses the latest technology and is the most accurate on the market. Sure beats using a stop watch!" "The Maglev systems are fantastic." 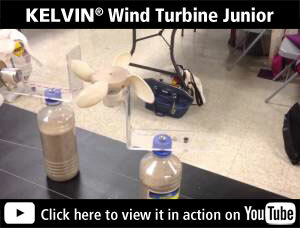 "We recently purchased a Wind Tunnel I™I from KELVIN®. It is to be used in the electronics program and the new tech lab we are developing at Turlock High School. The relatively large wind chamber allows our students to test various vane and propeller designs on scale wind driven generators. The velcro attached sides which allow full access to both sides are invaluable and the removable/replaceable bottom plate has allowed us to use custom made adapters that enable the testing of devices far beyond the scope of simple airfoils. 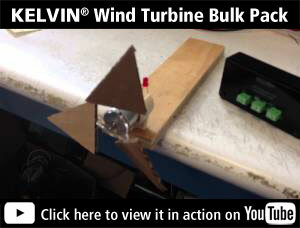 It is certainly one of the most flexible and competitively priced wind tunnels of its kind. 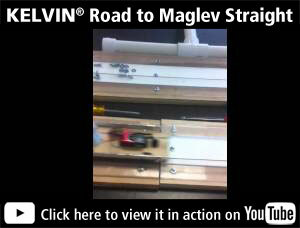 KELVIN® should be applauded for selling their equipment separate from module packages for those of us in the profession who still like to develop our own projects and curricula." "I found to my surprise that my students gained instant interest in the area of bio-technology by working with the KELVIN® Classroom Hydroponics System." "In our hydroponics area, the students have started various experiments to see what plants grow best in different amounts of light. Because of the shape of the hydroponics equipment, it is easy to do many plant experiments at the same time. Besides being easy to setup, the students see the advantages of growing soilless plants. We are going to purchase another one so we can have hydroponics all over the room all year." "The kids are using the hot wire cutter to make everything from airplane bodies to car shapes to maglev vehicles. It's easy for the kindergarten students to use and, of course, they are very excited to use a "real tool" that lets them be so creative! All my students, K-5, look for reasons to use it!" "The Styrofoam Cutter is great!" "Screen printing has been a fun and exciting area for the kids, they love to design and make their own T-Shirts. This equipment has worked good for the kids." "Several groups of 5th graders have tested this and really have had great success with it. They are using it as part of a telemetry project to communicate via voice as they simulate grabbing a satellite with a robotic arm and placing it the shuttle. Kid's really like this project; they figured it out without the manual. That's the way kids do it! Most teachers and visitors need the manual to feel comfortable with the equipment." "The CNC works greatÙThe kids love it." "The KELVIN® Workstations provide students with the opportunity to reinforce mathematics, engineering and science concepts as they engage in a variety of problem solving activities." "A note to say the previous quickstart kits were excellent and we are keen to purchase some more equipment." "We used a modification of your Voice Over Fiber Optics demonstrator to modulate the output of a LASER pointer. We were very pleased with the results and appreciate the modifications that you made in the basic transmitter. We were able to transmit and receive a signal at distance up to 100 feet. After testing the unit, it was used for a workshop for 50 Physics and Science teachers. Each school got one. We are very happy with the unit and recommend it to other schools." "The PPA Technology Education Students recently built and tested projects such as Toothpick Bridges, Balsa Wood Boxes, and even Rolled Newspaper Bridges with the KELVIN® Bridge Tester. It was very easy to operate, and did a wonderful job of testing all 150 of my students projects. It was great to watch my students eyes and smiles getting bigger and bigger as they saw the tester gauge reach over 80 pounds for a simple toothpick structure. They were all very excited and amazed over what they had achieved." "I've been using the Kelvin Electronics Robotic Arm in South African schools to introduce kids to robotics for the past five years. Students like the system and find it easy to learn." "The third grade students were first to try this one out. Without any prior instruction, they figured out what each function did and created their own program on the computer to do a pick-and-place manuever. Constant comments such as âcool' and âneat' went along with the learning. The fifth graders have affectionately named the robotic arm, Kelvey. 1st graders explored both manual and computer interface and think the computer version is better because it's like the real thing!" 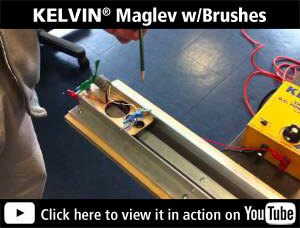 "The KELVIN® XY plotter is a great addition to my engineering lab. It acts as as a catalyst for the introduction and discussion of important concepts including: applied math skills (graphing and plotting), modes of communication (person to machine, machine to machine), and materials processing. It gives the students real life experience with CAD/CAM which they truly enjoy and get excited about." "Using the hot air ballon as the theme, I've been able to work with a math teacher to develop an interdisciplinary unit of study. As the students design and construct balloons of various geometric shapes, important math concepts such as calculating volume, calculating ratios (weight to volume), graphing and measuring are explored. The students are so fascinated as they build and test their balloons, they learn to enjoy math as they use their calculations to determine which balloon performs the best." "It's exciting hands-on learning. Students learn to apply science and mathematics as they design and build safety systems including seat belts, air bags and energy absorbing bumpers." "Eighth grade students in my Introduction to Technology course complete a lab activity based on KELVIN®'s BASIC 3™ Digital board. Using it, they are introduced to several digital electronic fundamentals, including logic gate theory and real world applications, as well as using systems to solve problems. Having used other digital electronic experiment systems in the past, I can say that with KELVIN®'s, my students exhibit the highest level of interest in and understanding of, digital electronic fundamentals." "First off, Grades 2 & 3 were able to apply what they had learned about circuitry using the electronics BASIC 3™ starter kit and gained experience with input-process-output models. The older students used a similar problem-solving strategy already and for them it was a validation of its application when tried with the BASIC 3™. They also felt they working with something real, not a toy. That's very important if we want learning to be meaningful. Best of all, your product is sturdy and withstood 520 pairs of hands using it for five days!" "Students from second grade up have explored series and parallel circuits with this trainer. They learned a lot about individual components as well as energy requirements. Quick connects are easy for all age levels. Math club used the activity on how many batteries you need to provide energy for certain componentsÙreally made sense! It also was a natural lead in to learning to use a digital multimeter to test continuity in circuits and battery charge." "The First Breadboard Lab works well because most of the parts are fixed to the board which makes it easier for the students to use and less parts are lost or broken." "We ordered the 1st Breadboard Lab package for our advanced Communications Technology course. So far it has worked well. The students seem to like the labs. The manuals are well written. They are not filled with excessive information or mathematics. With adequate instruction before each experiment, the students seem to be able to easily follow the instructions and complete the labs." "I am very impressed with your Breadboard Labs for teaching electronics. I'm currently using Mr. Circuit kits in my electronic module. However, a problem exists with the small products getting lost or broken. The Breadboard Lab eliminates this problem." 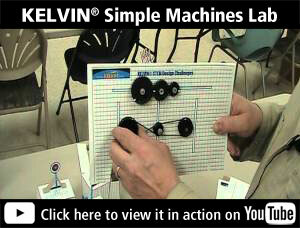 "The Home Wiring Trainer has worked very well because of the layout of the electrical boxes. I have found this to be a great tool for introducing electricity." "I have eight Digital Trainers and consider them the best digital trainer for the money"
Bob Hoskins, Turlock High School, Turlock, California "I have 20 Laptop Digital Trainers and have been using them over 5 years. I love them." "Mr. Hadar, I received the Binary Clock today and assembled it in 3-1/2 hours. It worked great and is hanging on the wall in my living room. Everyone that sees it stares with fascination! They then ask, "How do you tell time?' I then go into a lecture about binary numbers. Thank you very much." "My students have enjoyed assembling and testing the 8085 trainer board. It's simplicity means that students get it up and running quickly. We have used it to check all the microprocessor signals as well as write assembler programs to activate lights, read switches, etc. I highly recommend this board." "I am always on the look out for that special project for those special students who love the challenge to go beyond the realm of normal classroom instruction. The EE Designer Workstation is very attractive and has the features that will make industry experts envious. The only limit of this trainer is the limit of the human creative mind. What an exciting piece of equipment!" 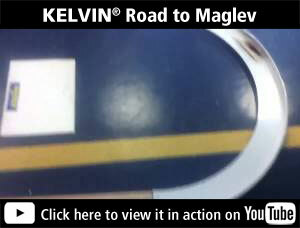 "We have been using the KELVIN® EE Designer™ in our two year Electronics program. This trainer has an excellent combination of features that takes the class from the beginning analog electronics concepts through digital concepts to the real world interface of micro-controllers. The KELVIN® EE Designer™ has replaced three trainers (analog, digital and micro-controller) a power supply and function generator in our classroom. Another great feature is the large breadboard area." "As a very dedicated and cost conscious electronics instructor, I had previously ordered a single DC trainer from KELVIN® for the purpose of analyzing and testing its classroom potential. Since then, I have ordered one for each student. This trainer has exactly what the textbooks and traditional theory labs are missing instructor-controlled, fault inserted trainers which challenge the students to learn procedural troubleshooting and problem solving habits at the very beginning of their technical training." "Thank you for the opportunity to evaluate your products and have my opinions considered. I have ordered your 100LE multimeters for two different schools now and really like the way they perform for students. I would be hard pressed to find a better buy for the price." "We do a lot of designing of our own circuit boards and the 24" by 36" PC board is really a good buy at less than 3 cents a square inch. I had ordered the liquid etchant from you before, but since that is not available anymore the Ferric Chloride mix is also very easy to use. You might add as a hint that if you pour about 1/4 of an inch of solution into a pyrex pan and put the boards in copper side down so they float the etching process is much faster and smoother." "I have always found the price for your ICs, transistors, and components to be very competitive in price and usually superior in quality to other discount services."